The intricate flourish of lace for the larger space, this larger sized 5-tipped paper starlight combines delicacy of design with a boldly contrasting colour scheme. A Brilliant White opalised screen printed detail stands out against a deep velvet black background, adding a classic finish to this richly decorative lampshade. 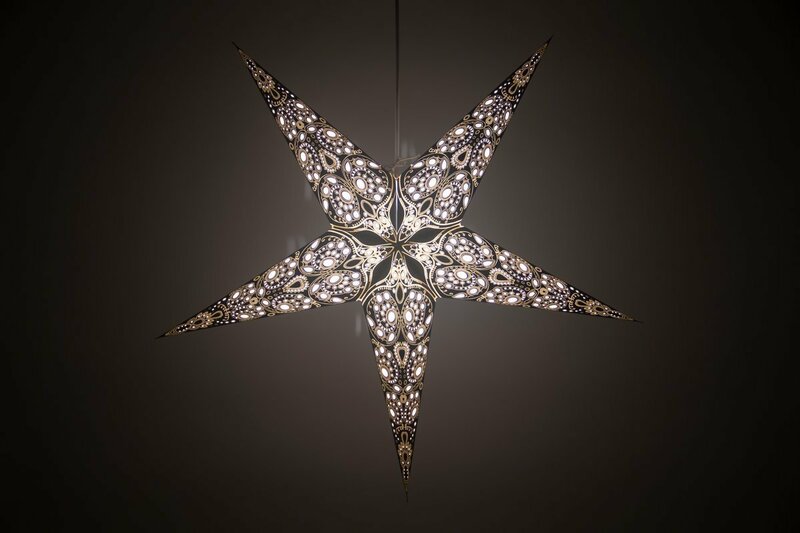 This larger sized hand-made star in Lace lacks none of the delicacies of the smaller design and casts a clear light to illuminate a room softly without dimming it. Screen printed by hand, traditional over-layering techniques create an intricately ornate design which is at home with any colour scheme and a striking contrast to a neutral theme. The classic Lace motif is the perfect choice for a wedding celebration - and the larger-sized design looks fantastic arranged in a display alongside its smaller counterparts. 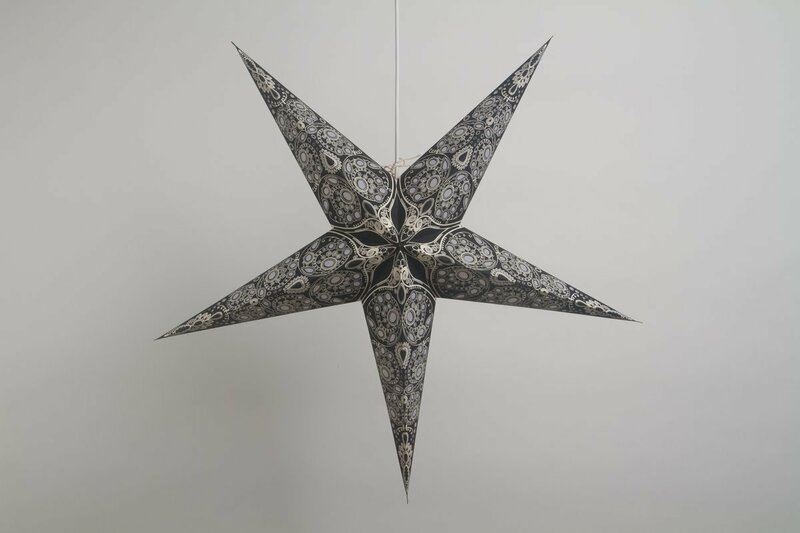 Used as a spectacular centrepiece or Christmas decoration for a larger space, this Deluxe black and white lampshade is also perfect for shop window displays and rooms with higher ceilings.